Connect to Viber and reach out to your customers. Customers want communication with brands to be instant, via the channels they most prefer. 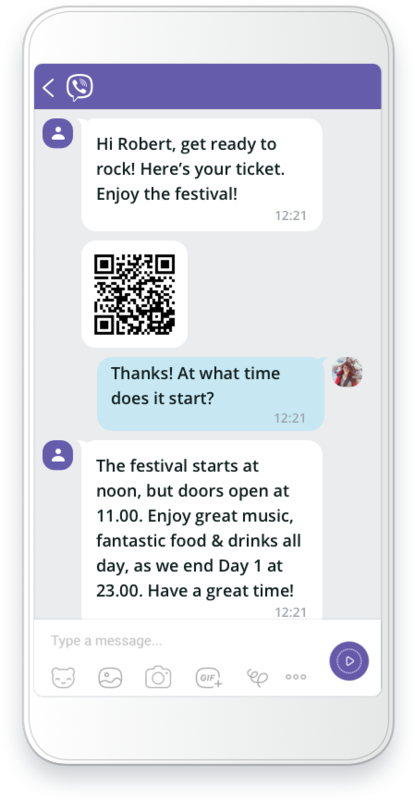 Having a messaging app like Viber for your business provides your customers with the rich, instant and interactive experience that they are looking for. All possible with our business messaging API.